I found this picture on a blog recently and saved it to my ‘creative ideas’ folder. 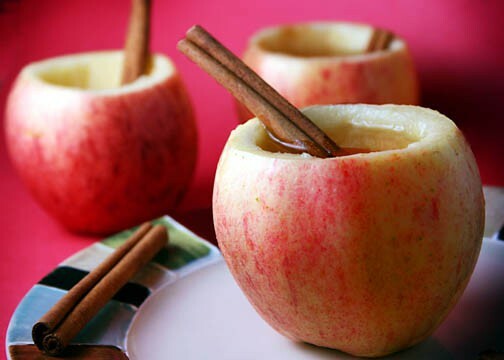 Wouldn’t this be a fun way to serve hot cider?! And I’ll bet my kids would love to do the hollowing of the apples for me! Who wants to come over for some hot cider? « Just because I felt the need for some cheer.